Wisconsin Dream Team Following Their Dreams to Mobile, Alabama!! 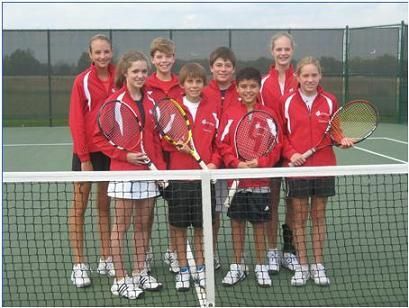 A special weekend is lies ahead for a team of advanced junior tennis players from Wisconsin when they will travel to Mobile, Alabama to take part in the USTA Junior Team Tennis 14s Advanced National Championships. This team, which is named the Wisconsin Dream Team, qualified for the National Championship event in August by winning the 14s Advanced Championship at the Midwest Sectional Championship in Indianapolis this summer. As a result, this group of friends that are known around Northeast Wisconsin as the “Dreamers,” will be living out their dreams this weekend in Mobile, Alabama. What makes the Dreamers special? Team Manager Dane Allen points to a common focus that has been instilled in the Dreamers for the past two years – the pursuit of their dreams with hard work, while having fun doing your best and nothing more. To underscore their status as “Dreamers,” the Dreamers sport wristbands that remind them to “Dream Strong” and to “Believe to Achieve.” The Dreamers will be handing out similar wristbands to their opponents at the National Championship to spread the same message to kids from across the country. The Dreamers have achieved much over the last two years while practicing and playing together as a team. On the court, they have logged over 200 hours together focusing on good teamwork and doubles skills. The Dreamers’ teamwork combined with pursuing their dreams has resulted in great success, which includes championships at the Local, Wisconsin District and Midwest Sections levels leading up to the National Championships. But even more importantly, in the process of pursuing their dreams together, the Dreamers have built friendships to last a lifetime! Three other Dreamers who will not be traveling to Mobile include Meghan Linehan and Anne Marie McKenzie, both of Green Bay and Hannah Jane Etten. The Dreamers will begin play versus Sectional champions from Southern California (Irvine), Southwest (Albuquerque, NM) and Eastern (Bronx, NY) sections before play-off rounds begin. Making the weekend even more special, the Dreamers will travel a day early and practice with Sectional champions from Northern (North Dakota) and Florida (Orlando) sections as well. Championship play commences on Friday, October 24 and concludes on Sunday, October 26. The Dreamers will also have fun off the court attending the National Championships players party Saturday evening, which will be held on the USS Alabama Battleship. One thing is for certain as the Dreamers prepare to travel to Alabama, whether they win or lose, the Dreamers hope they will never wake up from their dreams! Note:	For more information on the National Championships, click here.